Dirty Kanza 2015 | Ride Casual. Explore Casual. So there I was, standing face to face with the winner of the 2015 Dirty Kanza. Yuri Hauswald. The man himself. He looks me in the eye. I look him right back. Without flinching I say….”Hi, I’m Bobby Thompson, nice to meet ya. I’ve seen you on Facebook”. I then stood there like an idiot hoping he knew it wasn’t like a creepy, stalking “I’ve seen you on Facebook” but more like “yeah, I’ve been known to bomb a hill in my day, seen you on Facebook”. Either way Mr. Hauswald gave me the easy way out with a polite “Here, have a GU coozy”. I grabbed it and ran…ego completely humbled. I wasn’t kidding about the coozy. That’s how my Dirty Kanza 2015 weekend started. I’ve completed the DK200 3 times now. I’m 3 for 4. I feel very confident about what needs to be done and what does not work for me. I’ve now ridden a total of 740 miles of official DK gravel. Yet, I still am in such awe of the upper echelon of riders that I can’t hold more than a 30 second fanboy conversation with these people. I love it. The Dirty Kanza will always be a magical ride for me. It’s my Tour de France. I enter the same room with Dan Hughes, Rebecca Rusch, Yuri and I quickly slink to the back of the room for fear of looking like the village idiot. Yet I’m on the same course with them. I’m fighting the same mental games. I’m slogging through the same mud. I’m changing tires the same way they do. Slower, more clumsily but the same. People keep asking how was the 3 miles of carrying your bike?? The thing is yeah that was tough but that wasn’t the hard part. The hard part was recovering mentally over the next 60 some miles to be able to ride into and out from Madison to Cottonwood Falls. The hard part was making yourself pedal through another mile section of 1 – 3 inch deep slippery muddy ruts. Over and over. Turn after turn. The entire day. Will it be good gravel or will it be more crap? Multiple times I saw better riders than I coming at me only to realize they had turned around after seeing yet another muddy section. I remember crossing the highway coming into Madison and seeing a rider, on the highway, just riding back to Emporia. Done. The hard part was focusing so as not to fall in the slop. The hard part was ignoring frozen toes, a sore “seat” and noodle arms from absorbing blow after blow of 200 miles of gravel and rocks. I did some stupid things like trying to go to fast down hill and flatting out when I hit a rock to hard. Another area I was going 20mph+ downhill, saw a gap appearing on the other side of a concrete low water area, tried to bunny hop the gap, slammed my rear tire into a huge rock, kept the bike stable only to completely blow out by rear tube and dent my rear rim. I could only continue by making room for the dent by unhooking my rear brakes. At Madison, my beautiful, lovely, intelligent and patient of a wife made sure I didn’t give myself a reason to stop. She immediately got me ready to go. Joel Williams loaned me his rear tire so at least I was no longer wobbling as I rode. I would have no more rear brakes though the rest of the ride. I rode downhill with a little less enthusiasm and a lot more care the rest of the day and night. The rest of the race was more of the same but easier mentally since I had no plans of bailing once I left Madison. I was in it to finish at that point. I had fought through the mental battle of depression. I had accepted the fate of what the mud had done to my finishing time. Screw it. I was finishing this damn thing. I wanted a freaking hug from Tim, Kristi, Jim and LeLan. I wanted a freaking pint glass. I wanted the stupid damn Salsa stem cap. I wanted to hug my wife. 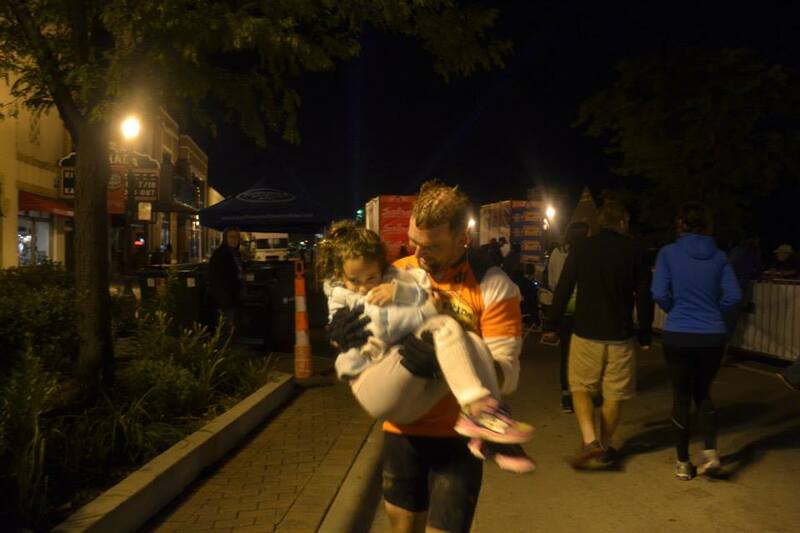 I wanted to hug my kids at the finish line. I wanted to be a freaking Rockstar for that 5 minutes it took to ride down the chute, hear the cowbells, listen to people cheering for me, ride up to my friends and get those hugs. I wanted my 5 minutes of being Dan Hughes, Rebecca Rusch and Yuri Hauswald. I didn’t ride that third leg hard. I made sure I didn’t crash near Kahola and I made some new friends who rode in with me. 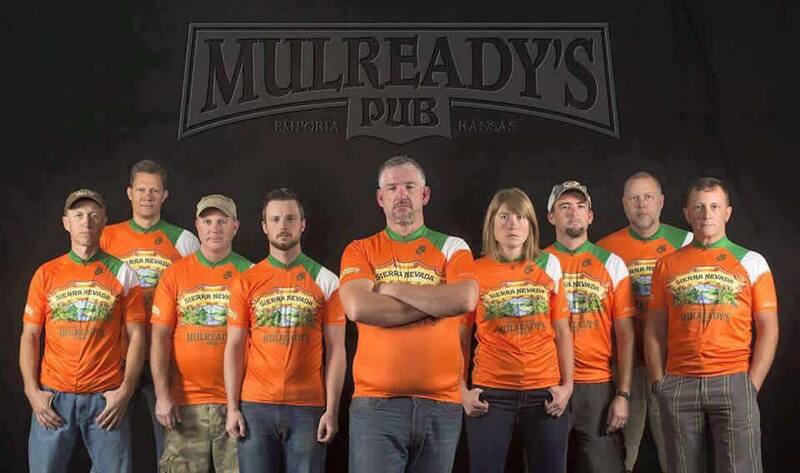 I stopped near ESU Library, took off my jacket and rode down Commercial St proudly showing my Team Mulready’s colors and readying myself for my moment. Near year I’ll attempt it again. I am 3 for 4. Some day I will complete my 5th and walk up on stage to collect my 5 time finishers award from Mr. Dan Hughes himself. Someday I will Race the Sun…and win. No matter what, each year I get a chance to be a Rockstar for 5 minutes. I love the Dirty Kanza 200. I am thankful that I live in the town of Emporia that hosts this event. This entry was posted on Friday, June 5th, 2015 at 4:08 am	and tagged with cycling, dirty kanza, dirtykanza200, gravel grinding, gravel racing and posted in Uncategorized. You can follow any responses to this entry through the RSS 2.0 feed. I had not seen this in 2015, but just read it today when Bobby Smith re-posted it. Awesome post, really gets to the point of taking on a challenge, and having the grit to finish, thanks for sharing!! Hey Bobby T! My friend Dan and I rode with you the last 60-80 miles! What a day wasn’t it! I felt fortunate to finish! Hey Mike! Epic day no doubt! Coming back this year?